This afternoon, Saturday, Nov. 3, at 2 p.m., the Friends of Lyme Public Library and the Lyme Land Trust are co-hosting a presentation by Steve Fagin, Great Outdoors columnist for The Day. 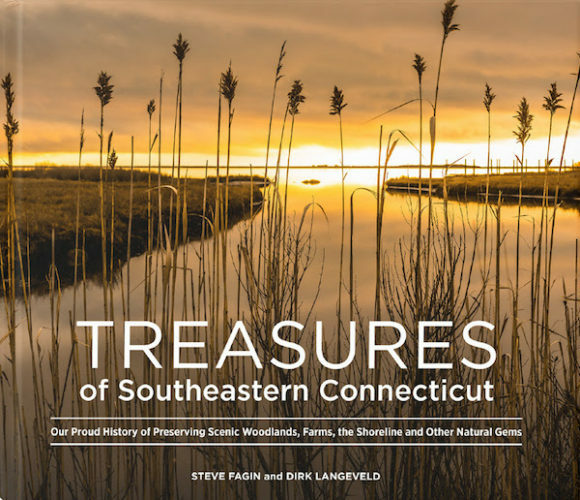 Fagin will present The Day‘s newest hardcover coffee table book, Treasures of Southeastern Connecticut: Our Proud History of Preserving Scenic Woodlands, Farms, the Shoreline and Other Natural Gems. Some of the essays and photographs were provided by Lyme Land Trust members. Event attendees will be able to pre-order the book at a 10 dollar discount. The program is free and open to all.